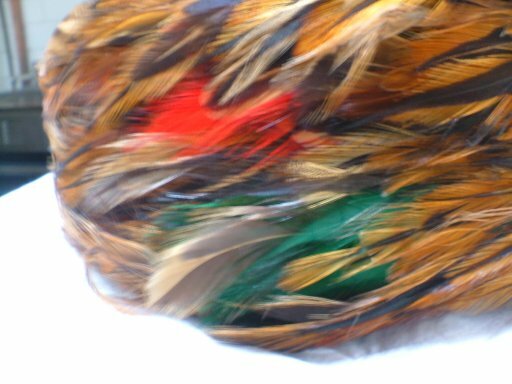 Vintage 1940s/50s American multi-feather pill box hat . 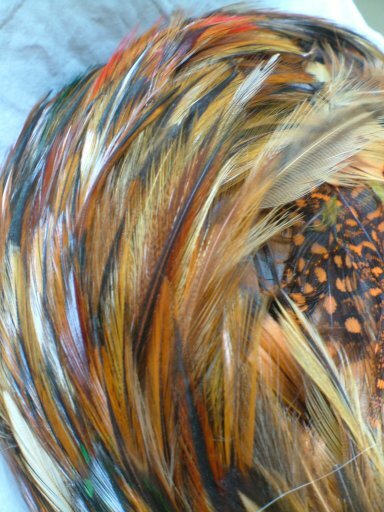 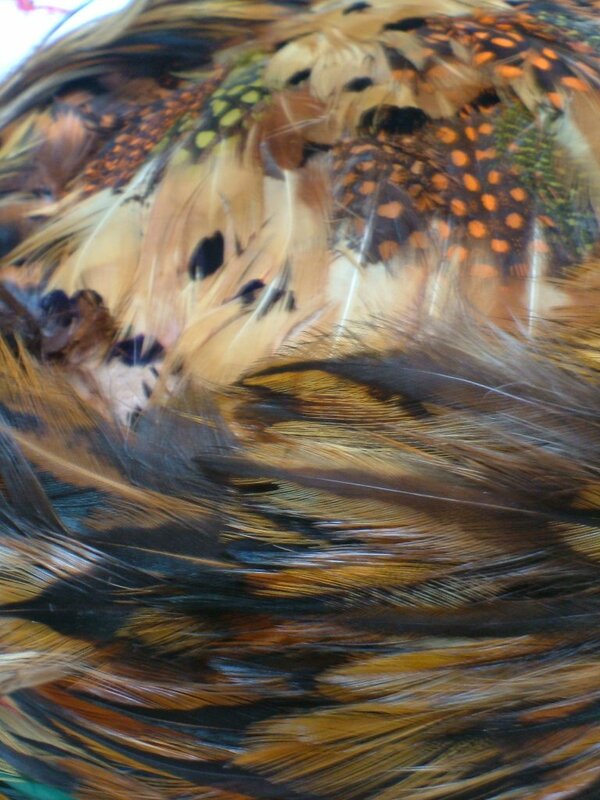 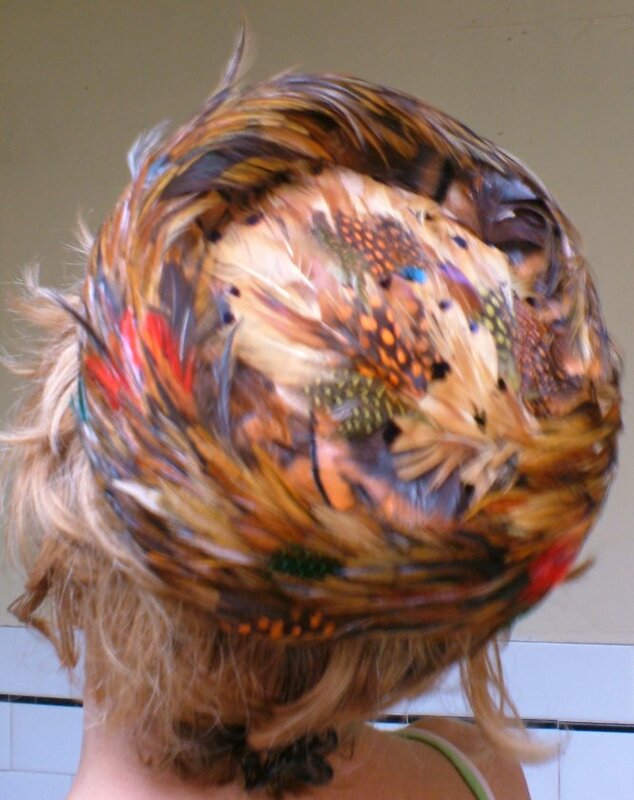 This is a glorious feather hat in earthy shades. 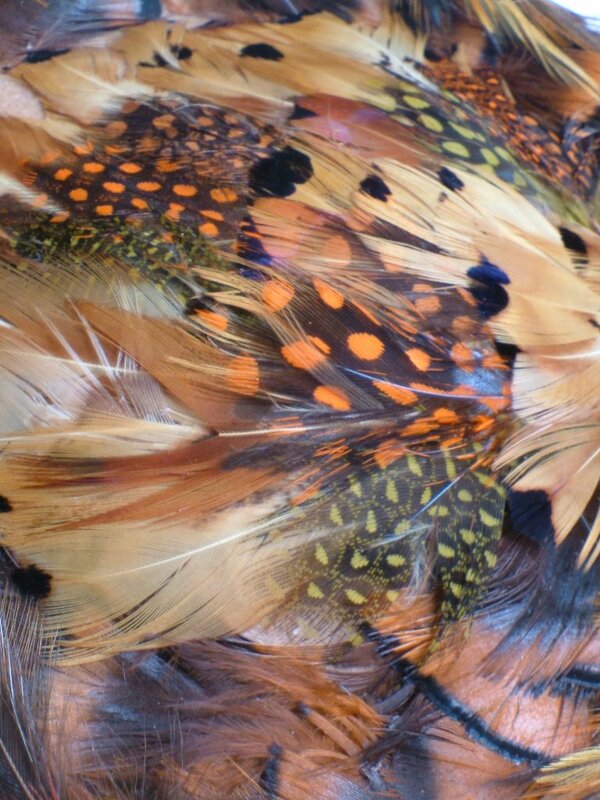 Some of the feathers seem to have been dyed, some are even two-tone, and others are apparently natural. 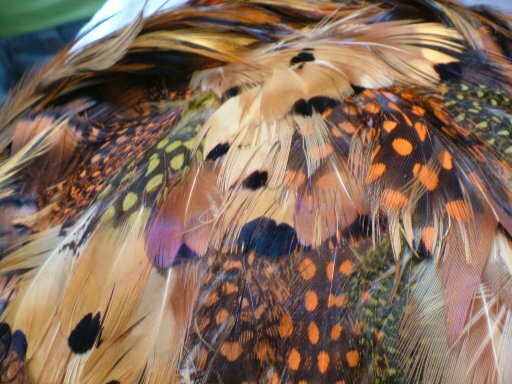 From a distance it looks as if made from multi-coloured fur! 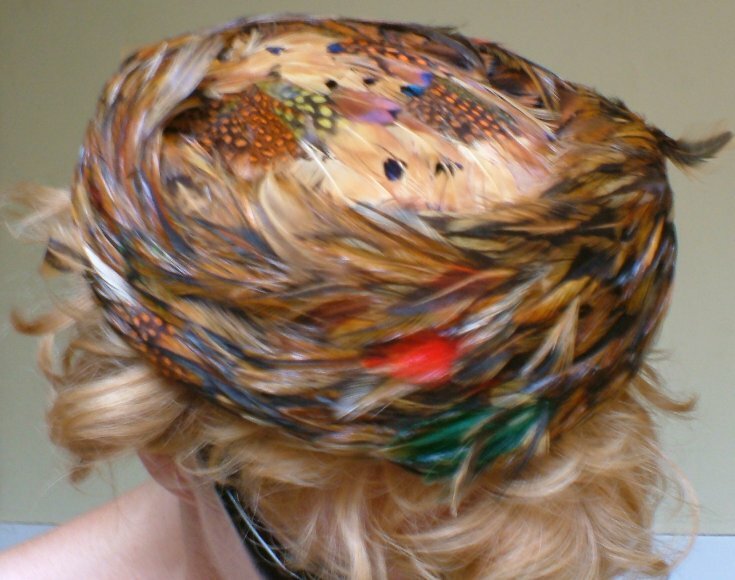 It is an elegant, pillbox shape, brimless, and low on the crown. 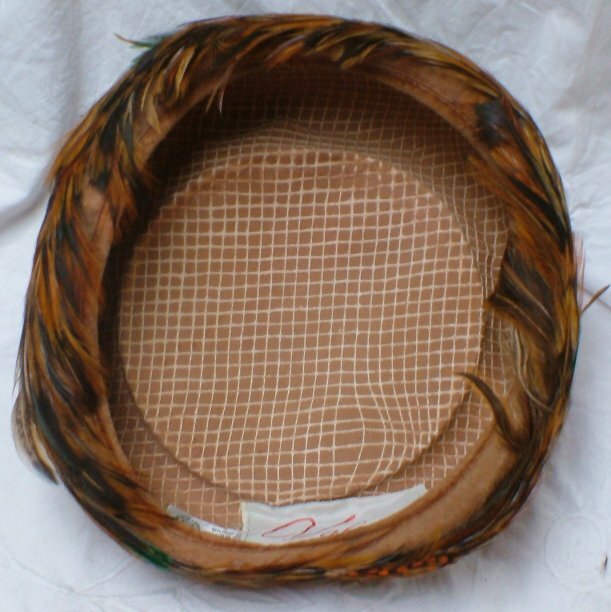 The rim sits slightly proud of the crown, especially at the front. 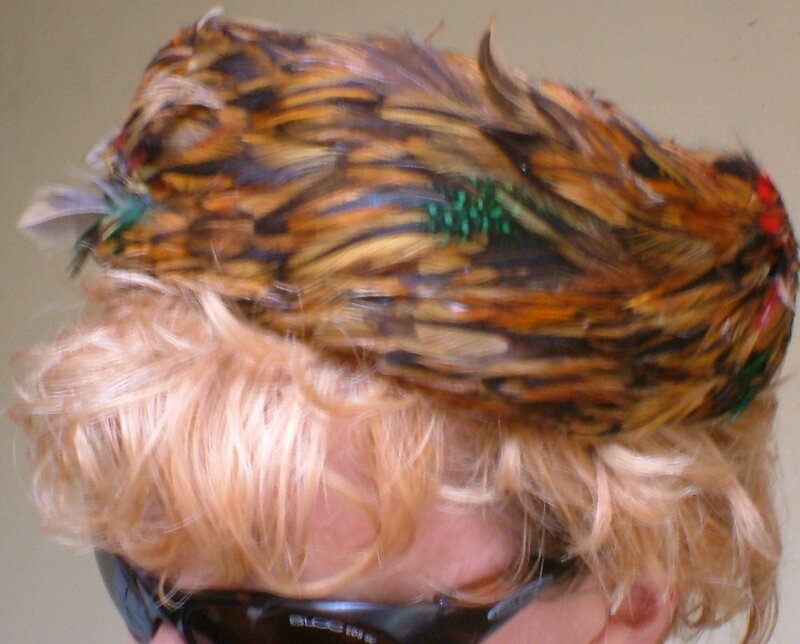 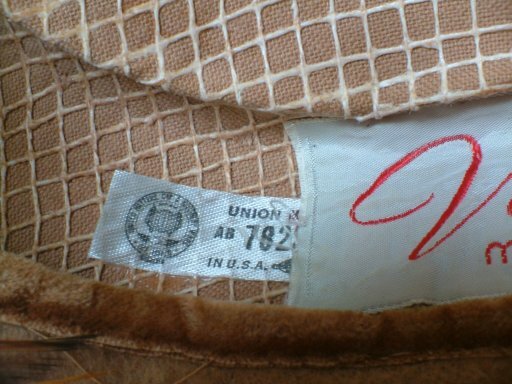 It is in excellent condition, with just a little ruffling of the feathers from storage. 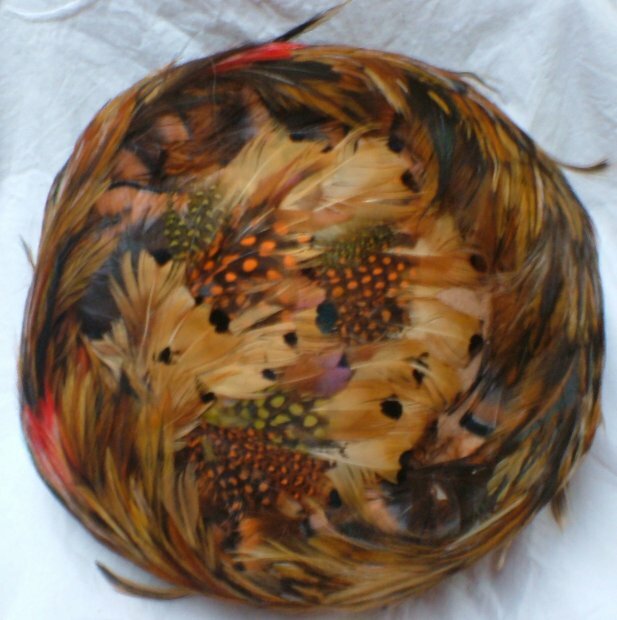 Approximate measurements are 8 inches diameter (20 cms), 20 ½ inches circumference (52 cms) with a maximum brim height of just under three inches (7 cms). 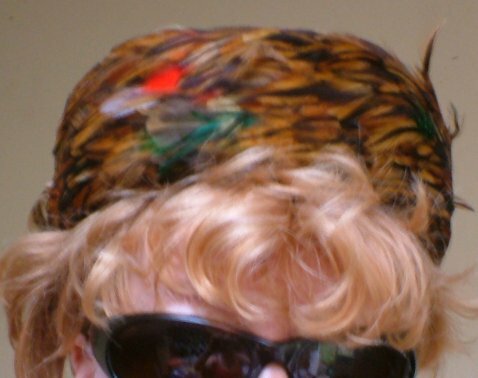 As you can see, it fits our model's head well - her head circumference is 23 inches.